This is a small piece I did for my mother. It is Brazilian Embroidery, an Interwoven Cast-On Stitch using four threads & five needles taught by Mendie Cannon. I took 3 classes in 2 days from her at the Stitching Jubilee a couple of years ago. I still have to finish those class projects. 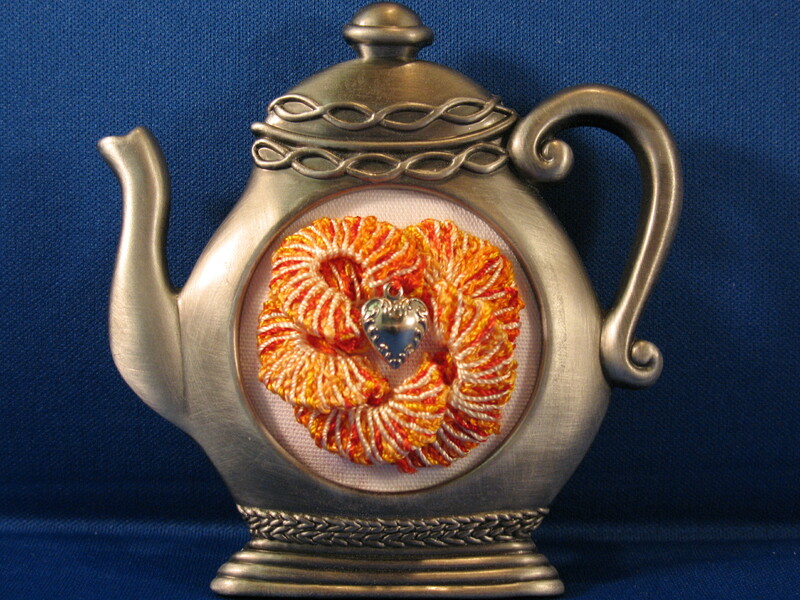 But, I’d wanted to practice this stitch & then decided it would fit this little teapot nicely. Looks gorgeous – well done!